Public relations has many fans, from legendary figures like Steve Jobs, to the current occupant of the White House. Yet PR doesn’t always command the same respect as other disciplines, like advertising or direct-mail. It’s even still a bit mysterious to some. As Greg Galant of MuckRack once observed, the advertising business is linked with iconic characters like Don Draper of “Mad Men,” while public relations is more likely to evoke Samantha Jones. Yet with the rise of social media and the profound digital disruption of advertising, PR has come into its own. Here’s why it’s more important than it’s ever been. Earned coverage can’t be blocked. According to PageFair, use of ad blockers grew by 30 percent in 2016, accounting for 11 percent of web users and more than 600 million devices. I’m not one who think the trend is good for PR people who specialize in earned media placement, for obvious reasons. Ad blockers deprive digital publishers of much-needed revenue. But their use makes the earned and owned content generated by PR programs more indispensable and confers greater weight on strong editorial mentions. It has credibility. In the age of “fake news,” credibility counts. The public is increasingly skeptical of our institutions, but despite the disruption of traditional media business, journalism still matters. In fact, a new study on public trust in media shows that while trust in media platforms where we seek news is down over last year, trust in journalism is actually on the rise. What’s more, a brand or personal reputation that is built through executive speeches, user reviews, bylined content, and earned media coverage will enjoy the credibility that comes from implied endorsement by authoritative sources. That beats self-promotion every time. Earned media boosts SEO. The typical PR team’s role has expanded beyond generating earned media through articles or segments in established outlets, but earned coverage is still a centerpiece of many PR campaigns, and with good reason. Established publications that link to a brand will boost search listings due to the sheer power of their digital domains. And since Google decided to treat mentions as “implied links,” they work hard, too. Anyone who has managed a content marketing program understands that it can work in a more enduring way than digital advertising. High-quality, “evergreen” content can live for years, driving SEO ranking and attracting traffic for a minimal investment. PR is about influence. This relates to the third-party endorsement factor but goes beyond the credibility of earned media. As Chris Graves of the PR Council explains, “We (in PR) understand the art and science of building relationships. Through these relationships, we earn the right to try to join conversations and maybe even change minds. We earn that right to influence others.” To me this refers to the applications of PR skills once used exclusively in media relations to social community management, influencer relations, and content marketing. 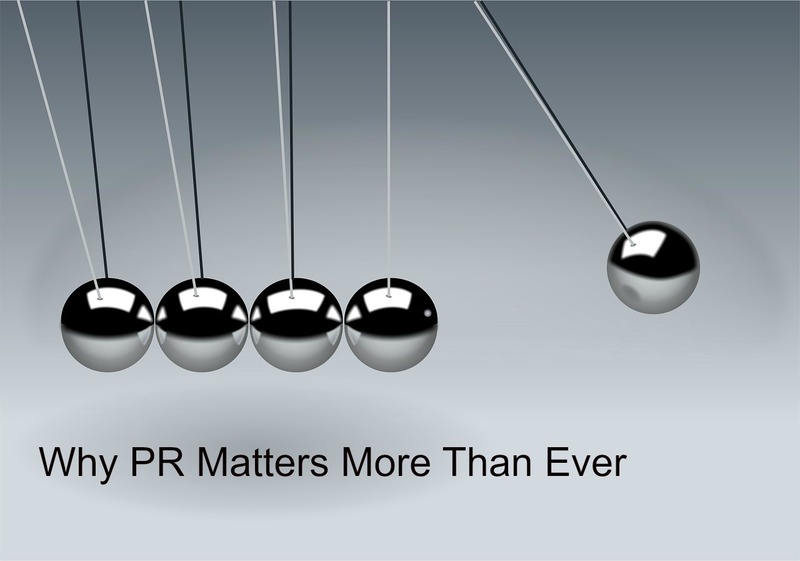 PR outcomes are measurable. Today, the outcomes of a PR program are more measurable than they’ve ever been, thanks to a concerted effort by the industry, but also to digital tools. Of course, metrics will always vary by program, but even with simple (and free) tools like Google trends and access to web analytics, we can pinpoint the impact of earned and owned content and social sharing with a fair degree of accuracy. PR is scaleable…sort of. Something that has held PR back over the years has been its relative lack of scaleability; because so much of what we do is time-intensive, you simply can’t expand a great PR campaign like email marketing or SEM. But many agencies have added capabilities in content marketing, digital content creation, and brand journalism that can amplify earned media or add to its impact through shareable content. Automation has changed intelligence-gathering and data analysis, which often informs a PR program’s messaging and content.